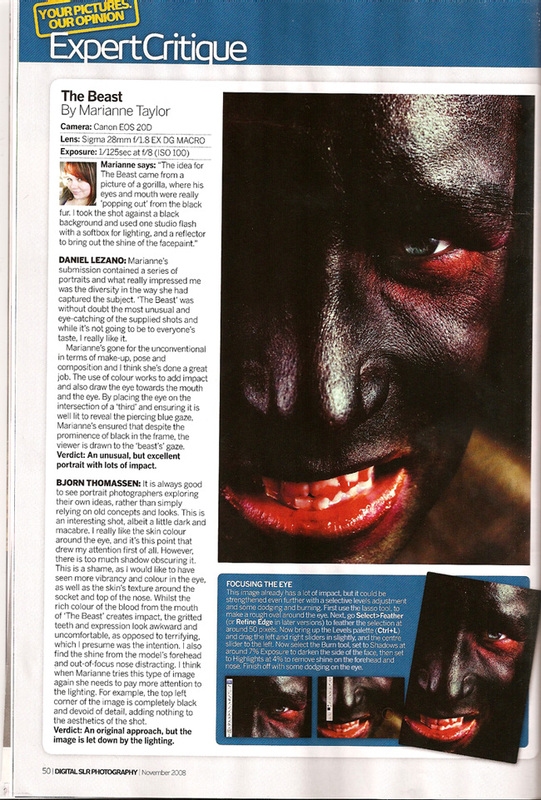 My picture got published in the Expert Critique section of November’s edition of Digital SLR Photography. The review was pretty much 50/50. I was quite stoked about what Daniel Lezano had to say though. And this is gonna make me sound like a mentalist, but I was so pleased it was on page 50… as 5 is my favourite number. Umm. And hey, fame for Miikka (again). 😛 I still find this the funniest thing ever. Art is traumatising! Right. Off to see Heather Nova now! Woo.